Ever since the introduction of online casinos, which enables us to participate in casino gaming from the comfort of home (or anywhere else), they have has become immensely popular. Though online casinos have the fame of offering higher odds and payback percentages, depending on the practices adopted by the player, online casino gaming can be secure or insecure. Casino experts have always voiced their concerns regarding the presence of fraudsters in the online gaming world as well. Some experts have even written books about responsible and secure gaming like Ace on the River by the famous PokerStars player Barry Greenstein. To prevent ourselves from ending up in a rogue casino, it is imperative to carefully verify certain details regarding the casino in consideration. 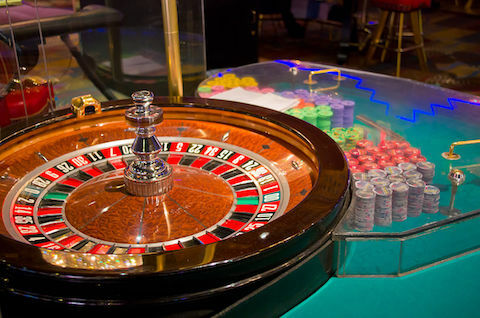 Because there are a lot of not recommended sites offering deceptive gaming offers with an intention of getting your hard earned money, the first and foremost thing to verify before joining any online casino game is the casino’s registration. For an online casino to offer legitimate gaming services, it needs a valid license as any other traditional casino. It is the licensing process that subjects the online casinos (or any other company for that matter) to rules and regulations and makes its executives accountable. To protect the interest of gamers, licensing usually includes background checks of casino authorities, verification of casino’s reserves to ensure its financial viability, and necessary appraisal of the software used in gaming. Licensing also involves regular verification of activities on an ongoing basis. Thus, it’s better to ignore casinos without a valid registration. The next important thing is to check the history and reputation of the online casino. In case you don’t know anyone who has already participated in a particular online casino in person, check for reviews in some reputable and independent forums. If the online gaming is offered by a relatively new casino, verify the background of its promoters. Basically, you’ll want to avoid online casinos that have any doubtful history or have been reviewed negatively. Apart from these, check whether the casino in consideration has had any big winners or whether they subject themselves, including the random number generation software, to independent verification for fair gaming. An online casino having only a few number of winners or very few big winners in comparison to the total number of participants needs rethinking before joining. Also, any online casinos that are not open to subjecting themselves to independent scrutiny of its processes and software need a reconsideration before joining. Finally, one should consider the cash transaction options offered by the online casino in consideration. Check whether there are multiple payment options available as well as whether any third-party payment processors involved are reputable ones. Also, check whether the casino places any constraints on cashing out or whether it has unreasonably high minimum cash-out values. If any of their checks returns an unfavorable answer, it’s better to move on to the next casino. The availability of credit card payment options can be considered as an additional sign of legitimacy as the casinos need to be approved by leading credit card issuers before it starts accepting payments through credit cards. When all these points are considered and satisfactory answers are obtained, an online casino has passed fundamental checks and is worthy of joining. In the event you choose to join, don’t forget to secure your account with a unique password before you start enjoying the casino gaming experience. And remember, if you feel uncomfortable at any point in time, feel free to start the process again and shift to another trustworthy casino.